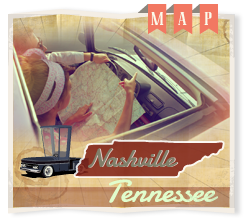 If you’re on the hunt for the best plumbing repair services in the Hillsboro Village, Mount Juliet or Franklin neighborhoods of Nashville, then Advantage Plumbing is the “X” on the map. Advantage offers great customer service and reliability, long-lasting repair work that really only comes from having a team of well-trained and experienced plumbers. With a tough-guy/gal attitude, their team is capable of handling the biggest and even scariest plumbing problems. While most of the on-call plumbers in Hillsboro Village, Mount Juliet and Franklin are able to handle a basic kitchen or bathroom plumbing jobs, Advantage provides a wide range of services for both those areas of the home or business – and then some. Other companies are often faced with instances where they have to call a technician or specialist to take a look at the situation, but Advantage Plumbing is an all-in-one shop. When we say no job is too big for the Advantage team, we mean it. They’re equipped to handle even commercial jobs like setting up utilities for water and sewer lines, installation and repair of a business’s bathrooms, gas line installation and much more. Every technician at Advantage is not only highly experience, but also certified, meaning they can ensure that your business’s plumbing, gas lines and recirculation systems are up to code and legal according to Nashville and Tennessee laws. Along with the commercial plumbing capabilities mentioned above, they also offer sewer and drain maintenance, utility services, hot water heater installation and maintenance and traditional in-home plumbing services. Advantage will inspect, clear and clean drains should they get backed up or just require regular maintenance. And they’re not afraid to get down and dirty when it comes to sewage – they’ll pump your septic system, as well as fully clean and maintain the tank itself. Their technicians will also be able to help with installing a sewer line and drainage for a new home or repair any issues with an older existing system. The technicians also have the tools and experience to deal with utility problems like frozen pipes, burst pipes, gas line installation and backflow problems, among other tasks. And since Advantage Plumbing technicians are available 24/7, they’ve already encountered their fair share of emergency situations and can work quickly to remedy the issue. When it comes to hot water heaters, they can install and repair all types, including traditional standard tanks, tank-less hot water heaters and hybrid heat pumps. They will also take care of any maintenance for the hot water heaters, which is often a to-do task that most homeowners forget to get around to. For instance, did you know that water heaters are supposed to be flushed out annually since there can be a buildup of sediment and hard water deposit which can be dangerous in the event that any of that gunk end up blocking the hot water heater’s drain valve. As you can see, Advantage Plumbing offers services far above and beyond most other plumbing companies. Whether you think it’s time for some maintenance, or want a reliable and trustworthy plumber on speed dial for emergencies, get in touch with them by calling 615-781-1239 or sending a message.